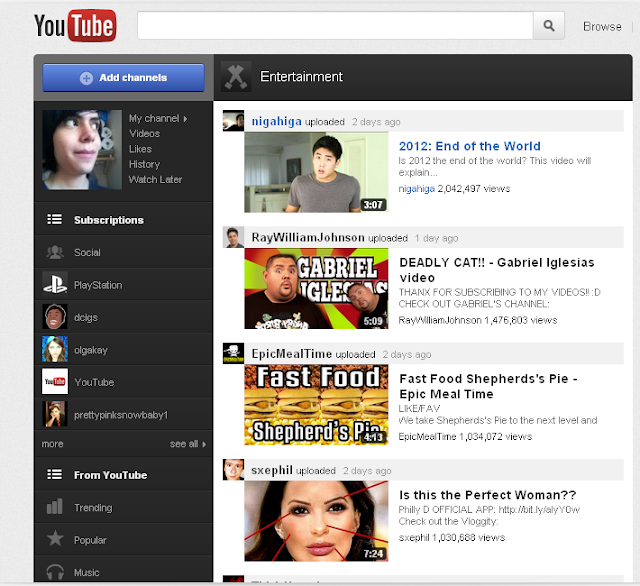 So here you see the normal YouTube homepage, it's really nice. Much simpler than the last one we used to have. I was thinking, sometimes I want to stay in the homepage and at the same time I catch a video that I really want to see, but again, I still have a bunch of other videos that I want to see from my subscriptions! I don't want to leave the homepage because I know YouTube, I know I will get distracted and totally head of track clicking on a related cat video or something. Well, wouldn't it be great if I didn't have to leave the homepage to get my daily does of subscribed goodness? Wouldn't it be awesome if when I clicked on the video, it just started playing right there instead of launching me into a whole new adventure? If anyone at YouTube, by some miracle, is reading this... please make it happen! I know there will be some people out there saying "I like going to the videos own page!" There is a simple fix to this my friends. YouTube can make so that if you click on the video, it just opens up plays right there like demonstrated above. 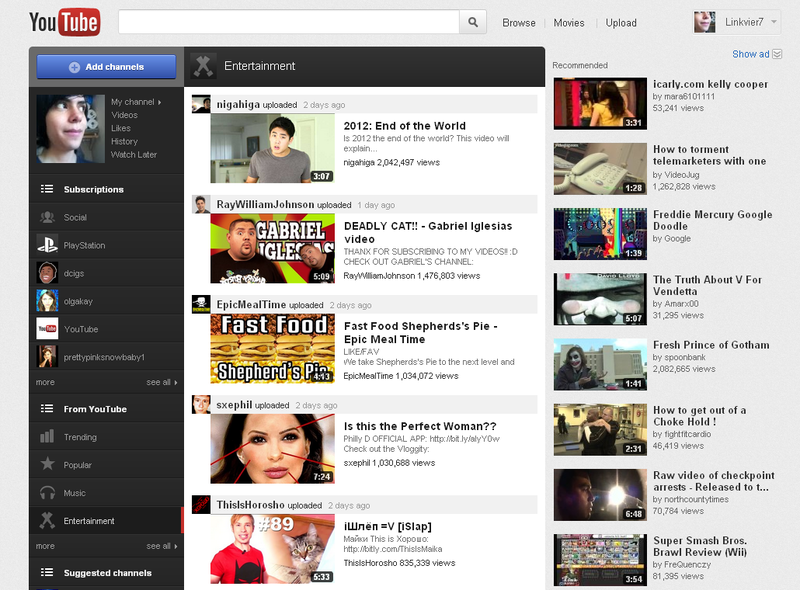 And if you click on the link(title) instead of the video then you go to the videos page.